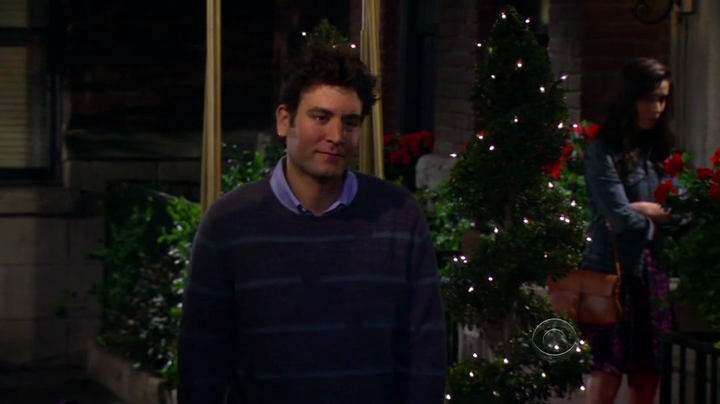 Cockeyed Caravan: Finally: the Corrected Statement of Philosophy on "How I Met Your Mother"
Finally: the Corrected Statement of Philosophy on "How I Met Your Mother"
Recently in the comments, we debated whether Ted’s upcoming discovery of the mother would show how much he had changed or merely reward a failure to change. After all: he kept having too-high standards for all of these other girls, and now he would be rewarded with a girl who met all of his standards. Well in last week’s episode, they settled the issue. Yes, he got the sort of girl he’d always insisted on, but they made it clear that he only closed the deal because of what he had learned over the last nine seasons. Eight years earlier, I probably would have given some embarrassing speech, confessed my love, and scared her off, but I didn’t, because somehow I just knew that this was all going to work out. Then, realizing she might be about to lose a great guy forever, she calls him back and asks him to finish the story after all. So now we know the solution: Ted never changes what he wants, but he has to change himself in order to get it. This moment neatly flips the reversible behavior he showed in the pilot at the end of his first date with Robin, when he blew it by forcing the issue.